Papua New Guinea youth international Emmanuel Simongi believes his football and academic development has improved in leaps and bounds since returning to the OFC Education Centre. Simongi is one of four student-athletes who have returned for a second year at the OFC Education Centre, which the Confederation oversees in collaboration with One Tree Hill College in Penrose, Auckland. “It’s good to see them again,” he said of reuniting with his friends and coach-mentor Phillip Pickering-Parker. 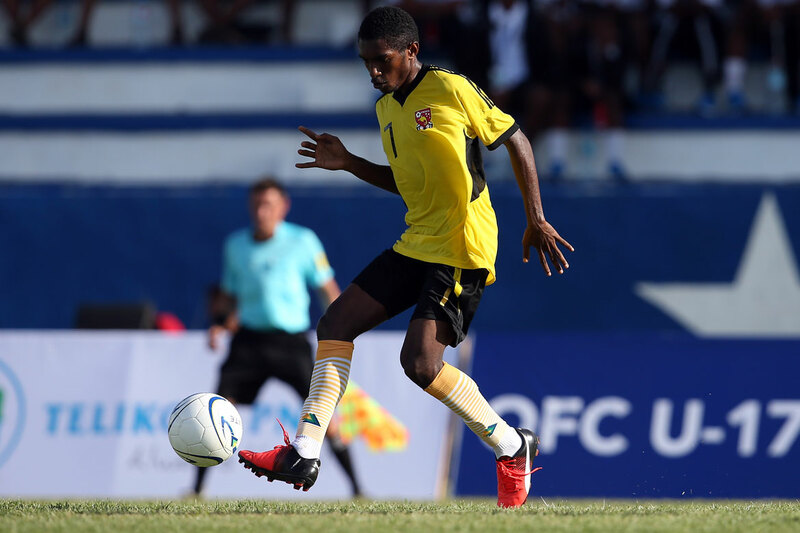 The 17-year-old made his international debut with Papua New Guinea in February’s OFC U-17 Championship, helping his side to the semi-finals, and although he enjoyed the experience it did make him question his talent. “To be honest, when I went home after the tournament I thought I might not be selected to come back again because there were so many good boys. Simongi said it is important to him to keep proving he deserves his place by putting his all into achieving both on and off the field. “The tournament in Tahiti taught me a lot, and I think most of all I gained more confidence especially to play high-pressure football,” he said. “Now that I’m back at the Education Centre I’ve been learning a lot of good things in and out of the pitch,” he said. One thing in particular Simongi has relished is the opportunity to join the school’s First XI. “It’s a great competition,” Simongi enthused. “We didn’t get the opportunity to play in it last year because of the timing. Joining the One Tree Hill College team meant football training within the OFC Education Centre structure was on hold initially, but Simongi said it gave the group more time in the classroom which is equally important. “We work on how Ronaldo became Ronaldo, how Messi became Messi. Phill used the classroom sessions to teach us how to be professional. “He also teaches us how to be good in different areas like finance and how to budget,” Simongi explained.